In 1974, at a security meeting in the Netherlands, a concept was born that laid the foundations of the European Security Transport Association (ESTA). The initiative belonged to Dr. C. Barrabino (Italy) and W.Thiele (Germany). The initial goal was to design “THE” European armoured Vehicle for Cash Management companies by including harmonized standards for ballistic resistance. On November 18th, 1975 ESTA was founded in Brussels, proving to be a precursor in European trade associations establishing their headquarters in Brussels and visionary with regards to the importance the EU would be taking in the future. The activity of the association’s member has evolved over time due to the changing nature of the economy and of payments systems and methods, the introduction of the Euro and by the same token due to the changing roles and duties of national centrals banks and the new role of the European Central Bank conferred to it by the Treaties. Today, ESTA’s members are an inclusive part of cash management and processing, including authentication and fitness checks. This has led the organisation to update its role and perception and develop a new vision. ESTA’s vision is “to ensure that cash is safe, available and an efficient means of payment”. The key assets of cash are: Availability, Reliability, Efficiency and Safety. Joint efforts of our Members to innovate on these key elements will enable a cash-friendly society. Cash is efficient, cash is solid, cash is reliable, cash is less expensive. Cash means fiscal revenue to our governments, and in uncertain times, cash is a safe haven. 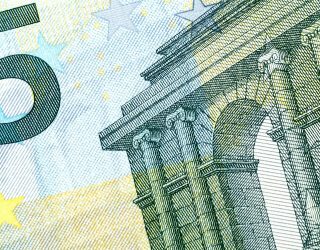 First and foremost, cash is probably the most secure payment means available to consumers, not least because today’s banknotes are a highly sophisticated and technologically advanced product managed and processed by highly professional organisations upon which banks, citizens and retailers can rely. The Association’s objective is to represent, on a European level, the interests of the Members who provide transportation, cash handling and processing services or equipment. Increases the quality level of the entire industry, mainly through the promotion of best practices and sound cash management & processing principles. In this context, it has adopted guiding principles for the conduct of CIT and CMC operation that Members are invited to comply with. This guidance document is an important part of preserving the credibility and the reputation of the industry further to high profile business failures a few years ago. EventCash vs alternative means of payment: opportunities or threats?